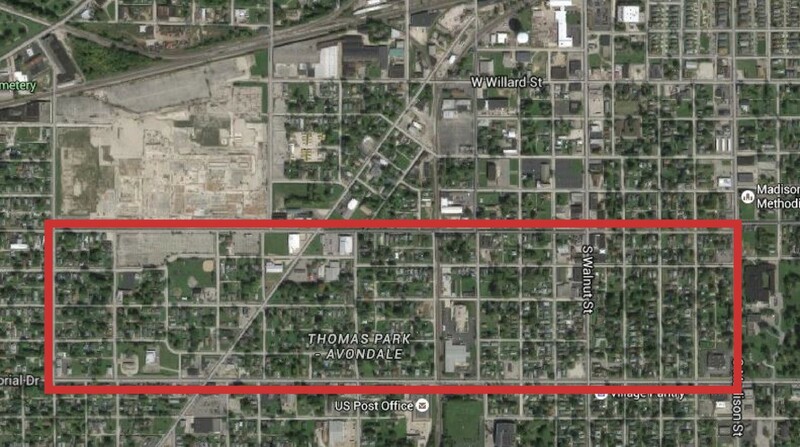 During the summer semester of 2015 a class of Ball State University graduate students developed an energy plan for South Central and Thomas Park-Avondale neighborhoods. The objectives of this plan is to inform residents and the neighborhood association of steps to improve energy efficiency throughout the neighborhoods and ultimately, how to save money. The study area selected by Vectren Energy includes parts of the two neighborhoods and is bounded by 8th St. to the North, Madison St. to the East, Memorial Dr. to the South, and Perkins Ave to the West. See figure 1 for map of study area. To gather information for the plan and develop initiatives over 600 surveys were delivered to residents living within the study area, conditions of buildings were assessed, two presentations were held at the South Central Neighborhood Association meeting (May 26th & June 23rd 2015), one presentation was held at the Thomas Park-Avondale Neighborhood Association meeting (June 3rd 2015), and numerous case studies around the nation were reviewed. Each initiative explains what it is, why it’s important, how to accomplish it, who to contact for assistance, maps demonstrating suitability, examples of where it has been done, and supporting information.